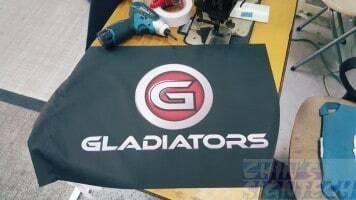 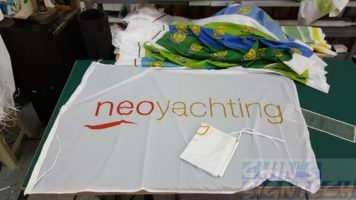 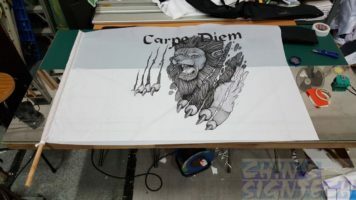 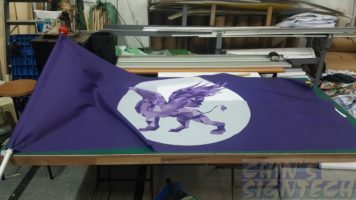 This Griffon flag design size is 2 x 1m with single sided printing on 70 GSM Polyester fabric. 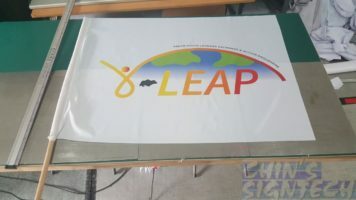 Total weight 140gram, when wind blow it can fly up and dance with the wind. 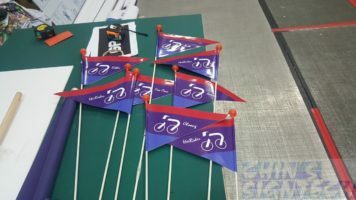 Bicycle Flags made to bring to Taiwan for their cycling tour. 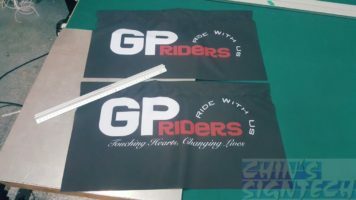 We are specialized on doing all kinds of Flag printing locally. 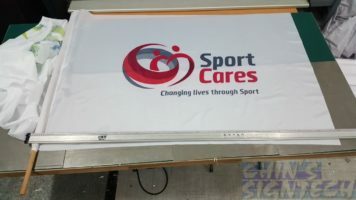 Why order your teardrop banners, Feather flags or print your fabric and flags from us ? 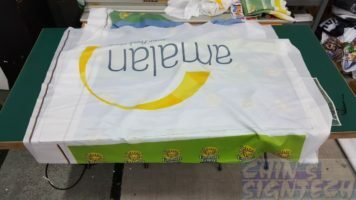 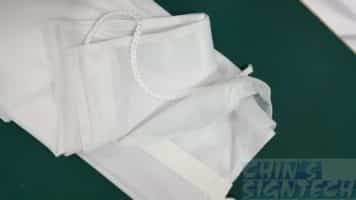 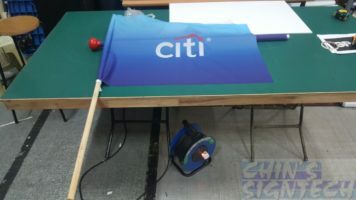 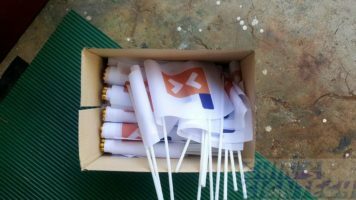 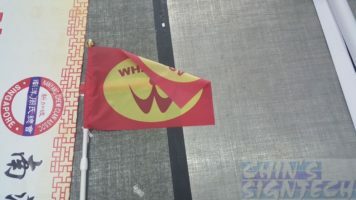 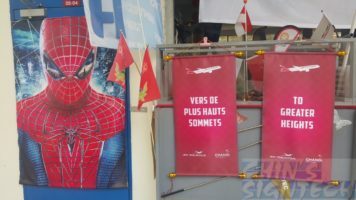 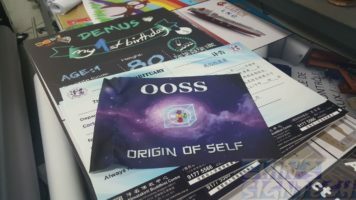 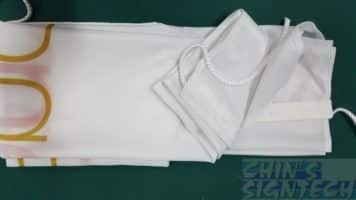 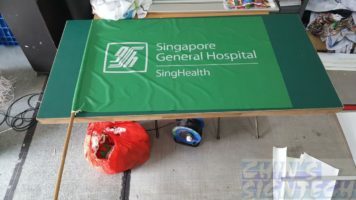 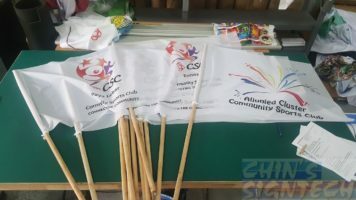 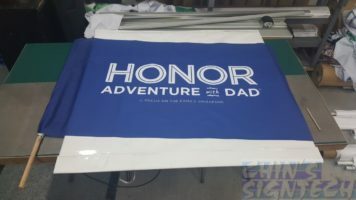 Banner and flag printing for different usage.